With more than tens of thousands of chemicals used commercially, keeping track of their levels in our bodies creates a challenge. “The constantly changing landscape of chemicals introduced into the environment makes it difficult to develop and validate methods in a timely enough fashion to evaluate early exposures,” says Dana Boyd Barr, professor at Emory University’s department of environmental health in Atlanta, Georgia, and past chief of the pesticide laboratory at the U.S. Centers for Disease Control and Prevention. “Of the more than 70,000 chemicals introduced into manufacturing, we have only developed methods for maybe 300, some of which are more relevant today than others.” This stacks up as a tricky challenge when government officials encourage enhanced biomonitoring of environmental chemicals. The health problems related to environmental chemicals, however, are not exclusive to developing regions. For instance, a 2015 report from the World Health Organization regarding Europe concluded: “The available data show that exposures to toxic metals remain a serious public health problem.” This exposes the global nature of this problem. In 2006, the California Environmental Contaminant Biomonitoring Program (or Biomonitoring California) was established to measure and track potentially harmful chemicals in residents and help evaluate how well regulatory efforts were working to reduce peoples’ exposures to these chemicals. Sara Hoover, chief of the Safer Alternatives Assessment and Biomonitoring Section at California’s Office of Environmental Health Hazard Assessment, says, “Biomonitoring California’s laboratories are among only a few in the U.S. with the advanced analytical capability to measure trace levels of chemicals in very small volumes of blood and urine.” In fact, these labs can test for about 140 chemicals, with summary results tabulated in an online database. The program also returns individual results to any study participant who requests them, and provides national levels and levels of known health concern established by federal or state health agencies—such as for lead—for comparison. Biomonitoring California has made a special effort to study exposures to flame retardants. For example, Hoover described a study of infants in San Francisco that showed “higher levels of certain chemicals compared to their mothers, including PBDE [or polybrominated diphenyl ether] flame retardants that have been banned in California due to health concerns.” Biomonitoring California also found higher levels of PBDE flame retardants in firefighters in southern California compared with the U.S. general population and with other California populations. Those are just a couple of the findings that show potential danger from exposure of humans to environmental chemicals. In addition to the vast number of chemicals that could be in a sample, some fundamental challenges face chemists. As Barr says, “From a chemist’s perspective, it is often difficult to find pure enough versions of the chemical to allow us to appropriately quantify that chemical.” Other experts agree that more work remains to improve the technology and methodology behind biomonitoring. In a 2014 issue of Environment International, Judy LaKind, president of Maryland-based LaKind Associates and adjunct associate professor at the University of Maryland School of Medicine, and her colleagues reported: “To date, the scientific community has not developed a set of systematic guidelines for designing, implementing and interpreting studies of short-lived chemicals that use biomonitoring as the exposure metric or for evaluating the quality of this type of research for [weight-of-evidence] assessments.” To that end, LaKind and her colleagues developed the Biomonitoring, Environmental Epidemiology and Short-lived Chemicals (BEES-C) instrument; this is the first available instrument for evaluating the quality of research proposals and studies that incorporate biomonitoring data on short-lived chemicals. In many cases, governments set exposure limits for chemicals, but those are not easily translated into the likely levels that end up in humans. To address this problem, Sean Hays, president and founder of Colorado-based Summit Toxicology, developed biomonitoring equivalents (BEs). In brief, BEs translate exposure levels to levels that would be obtained via biomonitoring. To make that conversion, Hays and his colleagues use pharmacokinetic models of how a chemical is processed in the body. This technology can also connect exposure levels set by governmental agencies as not likely to cause health harm with in vitro toxicology testing. For example, the BE method will indicate the biological level created by a particular exposure level, and that biological level can be applied to cell lines in high-throughput screening systems. Then, scientists can study an exposure level’s impact on cell health. The breadth of chemicals that might be troublesome makes biomonitoring difficult. In addition, the use of heterogeneous samples, such as human blood or urine, often requires significant sample preparation. 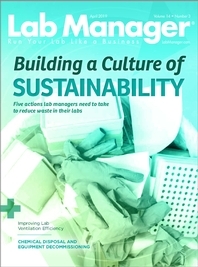 Plassmann and her colleagues at the Helmholtz Centre for Environmental Research in Leipzig, Germany, tested QuEChERS for biomonitoring and reported their results in 2015 in Analytical and Bioanalytical Chemistry. They tested human blood samples for a variety of environmental chemicals. The scientists used QuEChERS to extract 64 analytes and then analyzed them with liquid or gas chromatography followed by mass spectroscopy. Just the first step of QuECh- ERS, which is a liquid-liquid extraction, captured more than 70 percent of 47 of the analytes; adding the second step of QuEChERS, which is a solid-phase extraction, didn’t significantly increase the amount of analyte captured. This study showed that even broad approaches cannot always reveal all environmental chemicals. Even more troubling, the realm of what can be dangerous to health and the number and types of environmental contaminants found in biological samples increases every year. Still, experts strive to reduce environmental contamination to improve public health around the world. 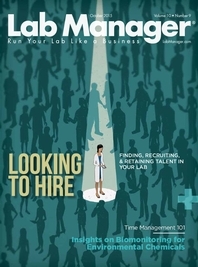 Despite mounting economic, technological, organizational, and personnel challenges, lab managers are under the gun to produce results faster at lower cost—and to hit all their ROI targets. Those of us working long hours in the lab may at the end of the day ask the following questions: Where did the time go? Why didn’t I get more done?